In the good old days, you used to have to buy a visa sticker on arrival in Turkey. This was valid for 90 days and allowed multiple entries. This simple system suited nearly everybody. For the summer holidaymakers it was a minor irritation to queue for a sticker on arrival, but for long time visitors, it almost allowed residency. At the end of 90 days, you simply left Turkey for a day and got a new sticker on your return. Depending on where you were in Turkey, this quarterly day trip was no problem at all. This system was replaced by the E-Visa system which was originally a direct replacement but soon became used along the lines of the Schengen Visa. Whilst Turkey is not in the Schengen Visa zone, it has adopted many of its rules. Many discussions followed about how the new system worked but there didn't seem to be a definitive answer. 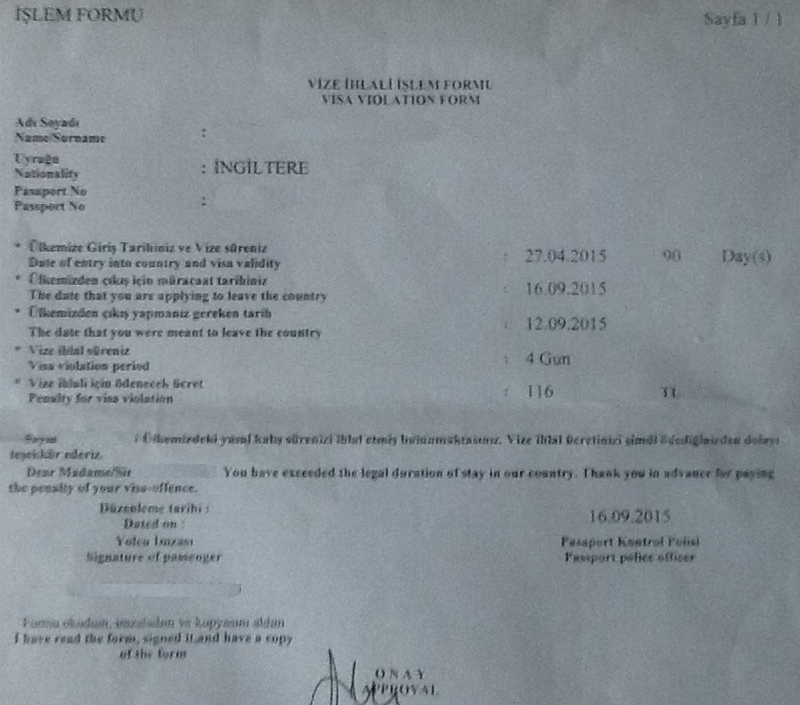 Because of the wording on official documents, some people thought that each visa still allowed 90 days in Turkey. Others belived it was based on exit dates. Quite inadvertantly, I overstayed by 4 days and had the system explained to me by a very kind police officer at Dalaman airport. The graphic below shows the details of my visits. Gibba.co.uk was set up based on this information.